Children in the mountains of Bali had a day to remember as Timothy Sykes and friends from Karmagawa visited Bali to open two new schools and a learning centre. Up in the mountains of Kintmani, Bali Children’s Project has been working on a series of new projects to improve education for children. Having come across the village of Dausa, as well the community at Wijaya Kusuma, we had already found two kindergartens in desparate need of support. The kindergartens had both been running out of ‘banjar’ buildings (community centres) with limited resources and supplies. When the community building was needed for ceremonies, school would often close for months on end. Even when school was open, teachers were fighting an uphill struggle. It’s difficult to educate children with no supplies. Meanwhile, we had also found an oversubscribed school, desperate for new facilities, with a crumbling old teacher’s building. Karmagawa, lead by the generous Timothy Sykes arrived to see what we had achieved for the schools, thanks to their funding. It was not a disappointment for anybody involved. After Dausa Kindergarten and PreK opened last month, the community and children were keen to welcome the people who had made it happen. 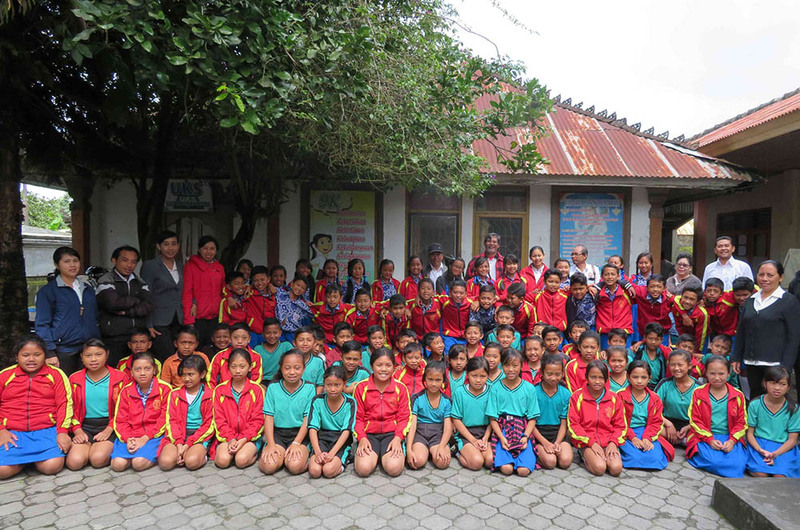 Over in central Kintamani, the other school and learning centre had just been completed, with excited students ready to see their new facilities for the first time. In true Balinese style, the whole communities around the three new facilities turned out. Not only did they come to celebrate, they put on a show that everyone will remember. Welcoming us with dances, games, displays and a tour of their facilities, the sense of community surrounding the new openings was palpable. Children were excited to show off their signs that they had prepared in art class a week before, while a group of girls from the elementary school with the new Learning Centre produced their own dance in full traditional clothing. It was wonderful to see communities that previously had no real facility for their children show such happiness in their new facilities. Over the past few months, Bali Children’s Project had been working hard to give the children of Kintamani the learning facilities they deserved. Dausa Kindergarten and Preschool required a completely new building and the two other schools represented major renovations. The projects were both part of two separate programs by Bali Children’s Project – supporting kindergartens and creating new libraries/learning centres. In April 2016, Bali Children’s Project lacked the funding to truly help schools, making do by donating materials whenever we were able. 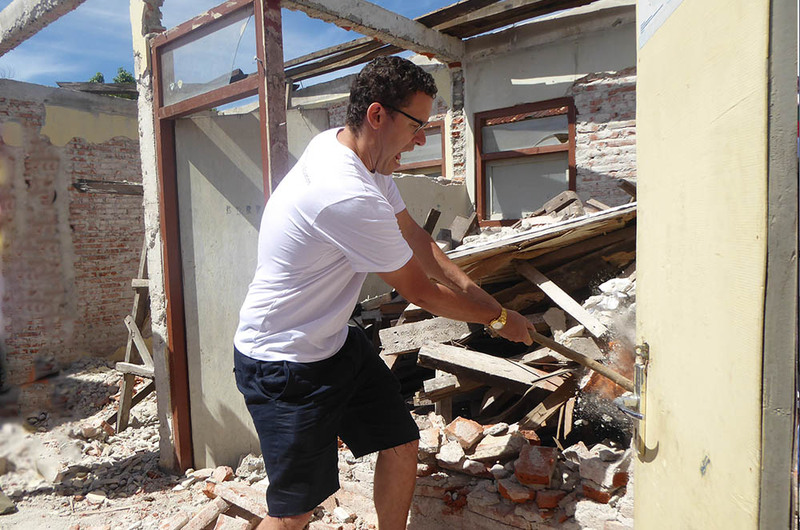 However, after the generosity shown from Timothy Sykes and Karmagawa, we have been able to work complete nine educational facilities, with another two currently being renovated. 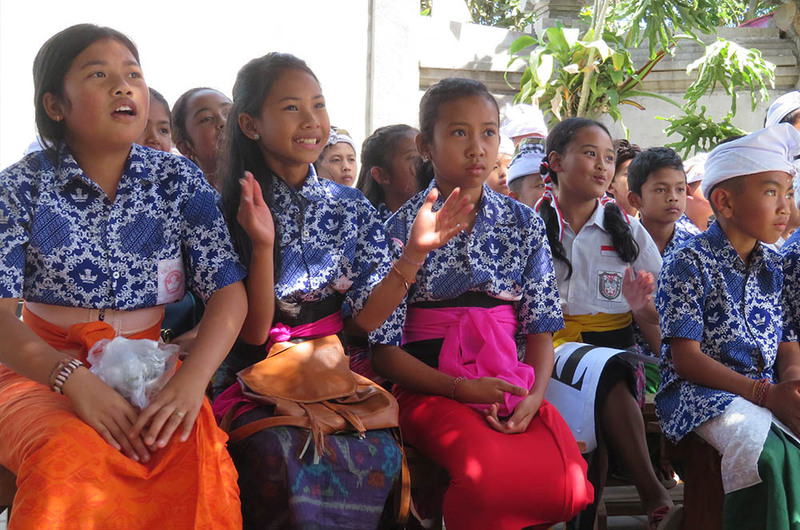 The latest visit was not only a special day for children in Kintamani, as Karmagawa committed to funding even more schools and learning centres in Bali – enabling us to spread access to quality education to further disadvantaged areas. Bali Children’s Project has a long waiting list of schools needing support. From small supply projects, to larger renovation projects, you can help. Bali Children’s Project focus on helping schools become better facilities with great educational standards. You can find a list of schools needing help in the links below.